Ok I have an idea for a player race. intelligence level-as much as humans, can operate weapons, vehicles etc. 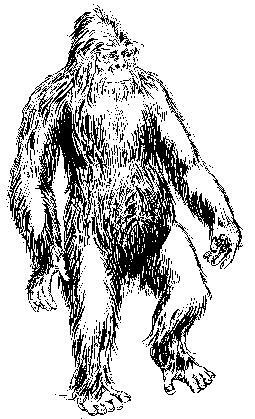 description- The primate major goes by many names in the PW such as big foots, yetis, and sasquatches. But despite them being apes they can do everything a human can and more. There strength is 5 times that of the strongest human, but there speed is quite slower. They possess great dexterity so they can pilot and operate machinery and weapons. They are widespread across the lands leading to varying thickness of coats, color of coats(fur) and size. For example A primate major living on a plain would have a thinner coat and a large size, a primate major living in the mountains would have a thik coat and a smaller size. I think we should sorta avoid a defined list of character races. Perhaps a few generic platforms but nothing too uniqe, let players make their characters. I don't see why'd we purposefully avoid that. It adds a lot more diversity to the world, while I do see the purpose of player races (to give a sense of a community)I still think that it is an area that should be given lots of room to breath. I do think characters should be approved before people start playing and that isn't a unnreasonable thing to ask of the people since most GMs require that for their own threads.